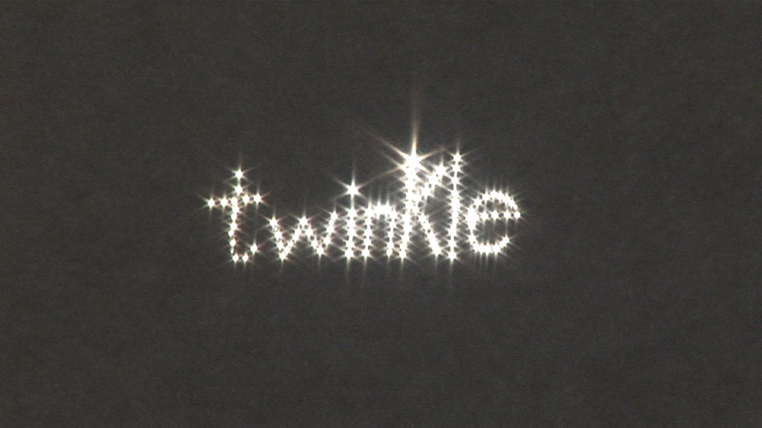 In Script (1) Summer studio the artist spells out the word 'twinkle', making pinholes in a sheet of paper. 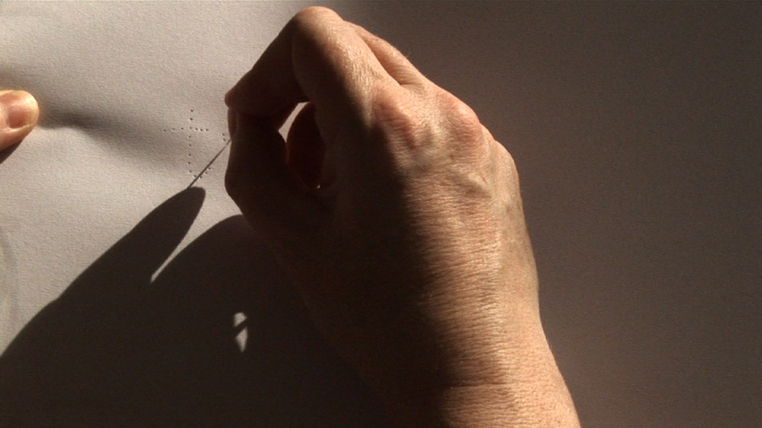 The word and its meaning become tangible as the paper is held up against the light streaming through a window. 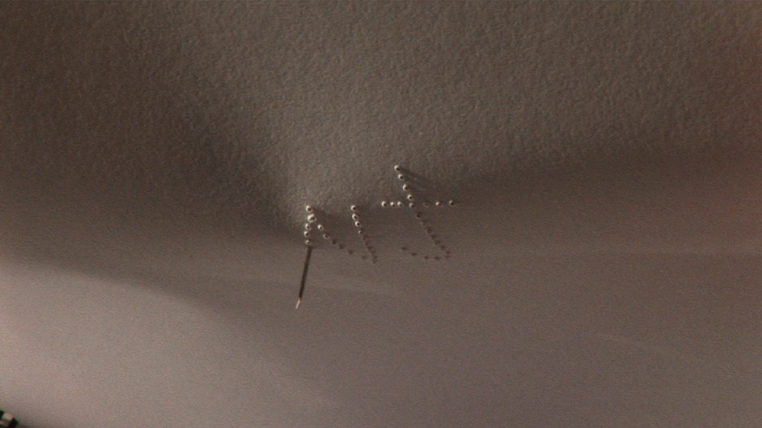 Script (1) Summer studio is the first in a series of short films, showing the artist making words, relevant to the filmed activity or making reference to filmic terms. Shot where the artist works they take the form of filmic exercises of studio activity. The Script series explores the textuality of the written word while considering issues pertaining to film's specificity. Commissioned by Michael Dempsey for In my own time, The Golden Bough, Dublin City Gallery, The Hugh Lane.